Vendors that I have used and have done me right! 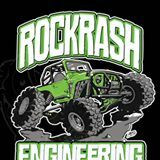 Rock Rash Engineering (303) 349-2120 - Toby is a great guy and will treat you right. Has some fascinating stuff in his shop, makes you wish you had more money for sure. Andrew is a very good guy to deal with and is honest to a fault, not to mention he produces an awesome product. Mike is a professional that very much cares for his customers and will do you right at a more than fair price! I have not bought anything from their new site but when they were here in Denver they were very good.